When you invest a one-time gift or become a monthly contributor in the Miracle Offering, you become a partner in reaching people for Christ. Miracles go beyond the expected and the normal. They push us to the limits of our faith and increase our confidence in God. This year we are trusting God for a MIRACLE OFFERING in December. Please take time to pray and seek the heart of the Father on this matter. Gifts may be given in all increments and as a one time gift or in monthly installments. For example, if you want to sponsor a child for camp, you can choose "reoccuring gift." God bless you and thank you for joining us for a season of miracles! 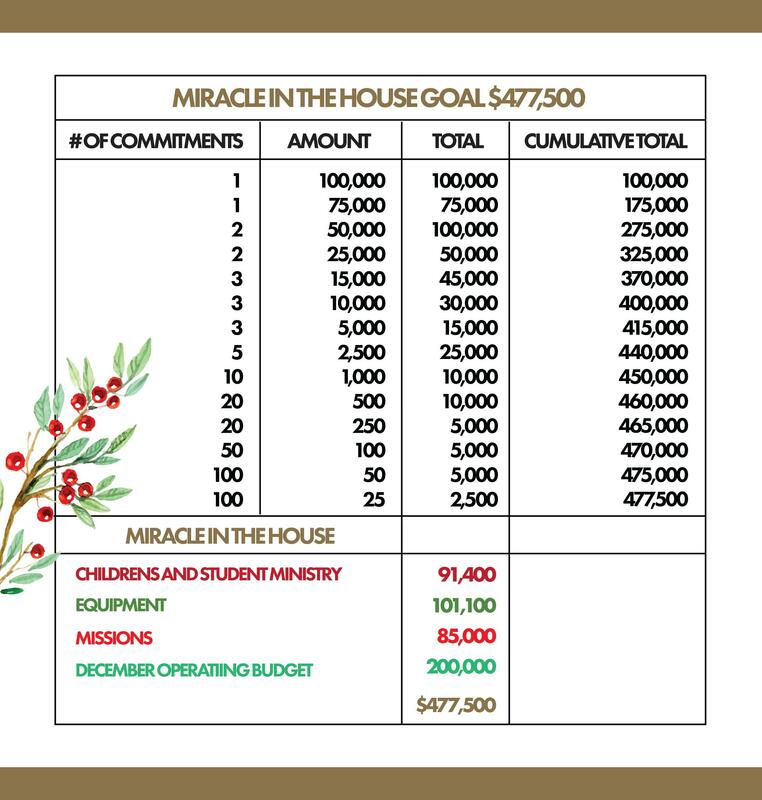 When you invest a one-time gift or become a monthly contributor in the Miracle Offering, you become a partner in reaching thousands of people for Christ. When you give, you are tangibly making a difference in someone's life. Bible Clubs - We are currently conducting Bible Clubs at Esperanza and Senora High Schools. Your support reaches more than 3500 students annually. With your support and prayers, we can expand to Yorba Linda and Canyon High Schools in 2019. Peru Crusade - Pastor Phil has been invited to preach at the 30,000-seat stadium, Estadio Garcilaso, in the city of Cusco, Peru. We are hoping to take 100 mission volunteers from Influence to join the 10,000 others in transforming the country and bring the hope of Jesus Christ to millions. $100 per month - Your gift will provide one winter and one summer camp experience; Christmas gift and Influence T-Shirt. $125 per month - Your gift will send one person to Peru to participate in global outreach.